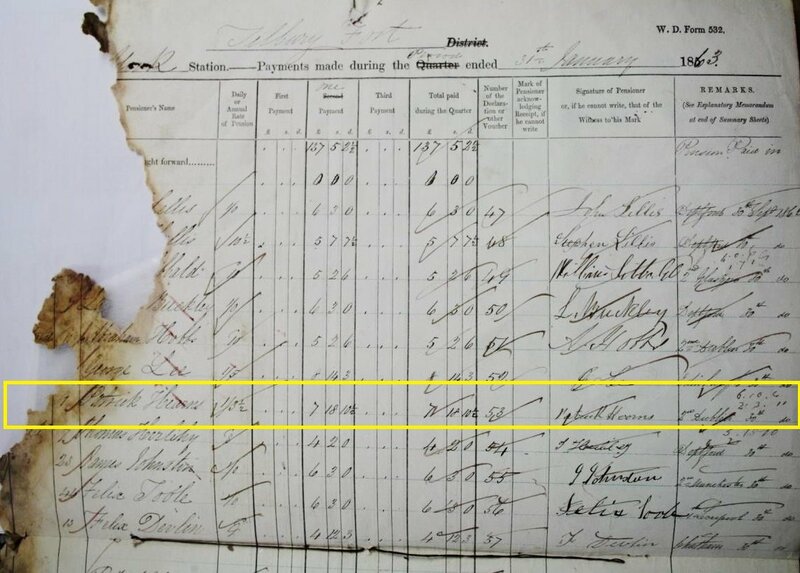 Birth date and place c. 1816 Naas, Kildare, Ireland. Physical Description Height: 5 ft. 8 ins. Complexion: sallow. Eyes: hazel. Hair: grey. Marriage date and place Ireland ? Film No. 1363695 [Church of LDS]. Mary 1859, Ireland (tentative). Margaret 1863, Fremantle, Western Australia. Patrick John 1866, Fremantle, Western Australia. Eliza 1868, Fremantle, Western Australia. 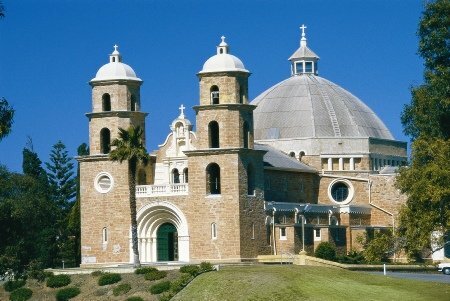 Joseph 1871, Fremantle, Western Australia. Josephine May 1872, Fremantle, Western Australia. Eliza 1874 (d.1874), Fremantle, Western Australia. Death date and place 19 Dec 1878 Geraldton Hospital, Geraldton, Western Australia. 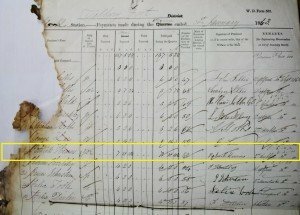 Will and Probate Will: 16 Dec 1878. 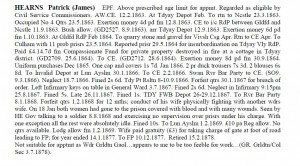 Probate: Mar 1879. Supreme Court of Western Australia. Regiment(s) 77th (The East Middlesex) Regiment. Regiment No. and Rank #1127 Private. Attestation date and place 12 Apr 1838 Moonfield House, Kildare. Service/Campaigns West Indies & North America 5 years 2 months. 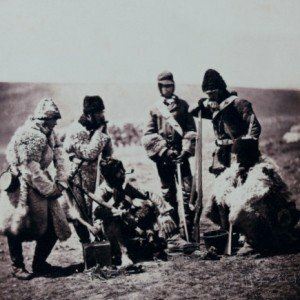 Eastern Expedition (Crimea) 11 months. 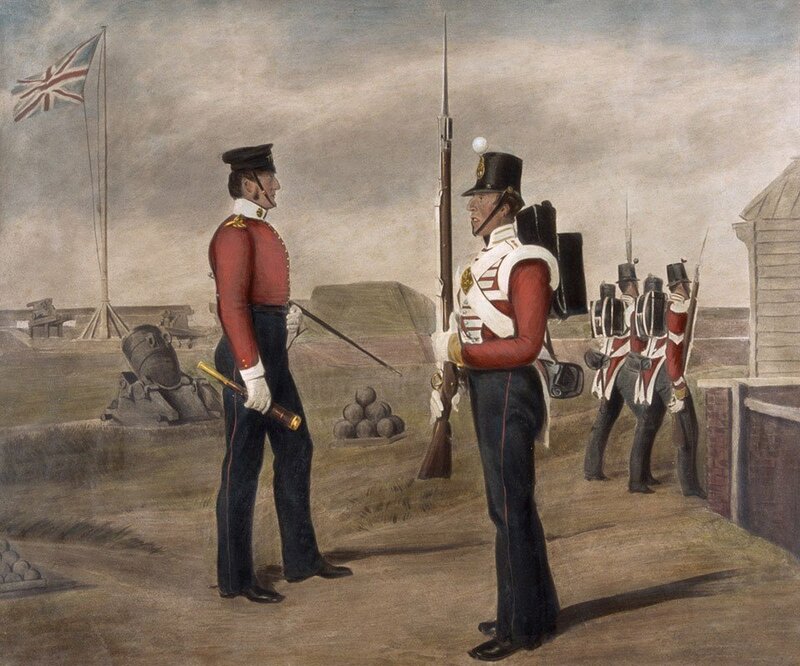 Promotions Private to Corporal 17 Feb 1854. Corporal to Sergeant 1 Jul 1854. Medals, Clasps and Badges Crimea War Medal. Turkish Crimea Medal. (Assumed – not on Medal Roll). 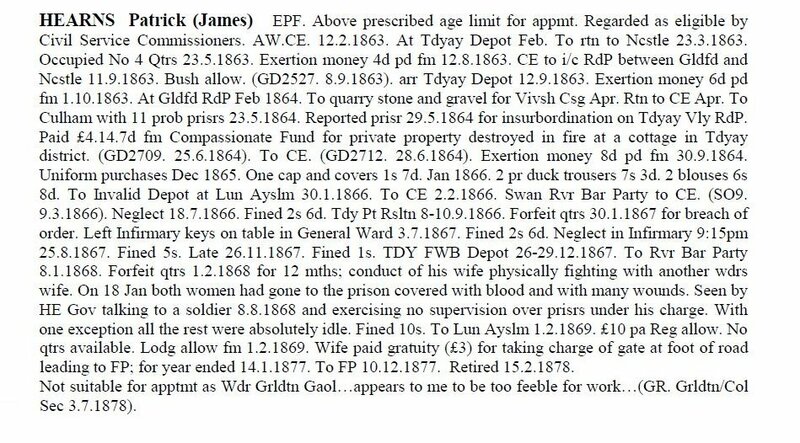 Discharge date and place 3 May 1859 Parkhurst. Length of Service 21 years 22 days. Post Discharge Residence Naas, Kildare. Post Discharge Pension District 2nd Dublin. Pension Amount 1/3½d. per diem. Assistant Warder, Convict Establishment inc. Lunatic Asylum (see sidebar). Patrick Hearns’ record on York Pay List. This Pay List is in very poor condition throughout, making some entries impossible to read (e.g. Hearns’ regiment).